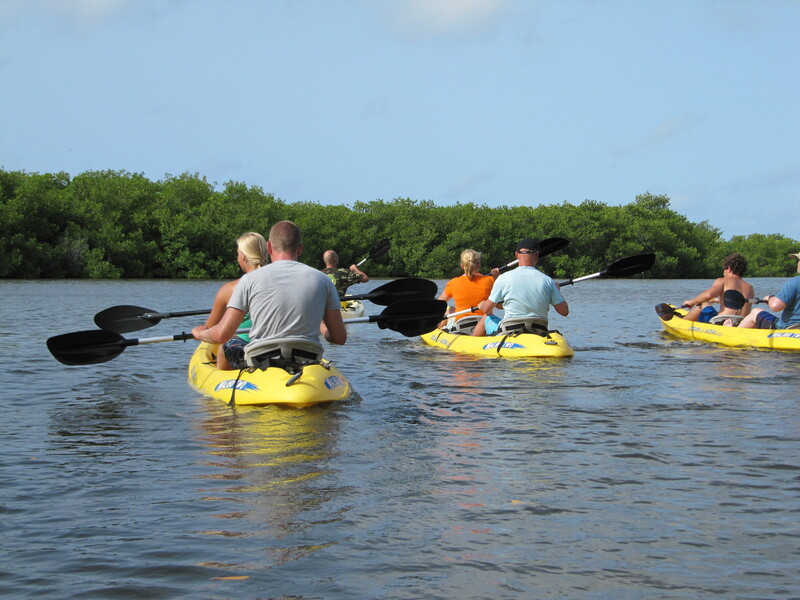 Sucile and I took a mangrove kayak tour with Pieter from the Mangrove Center. 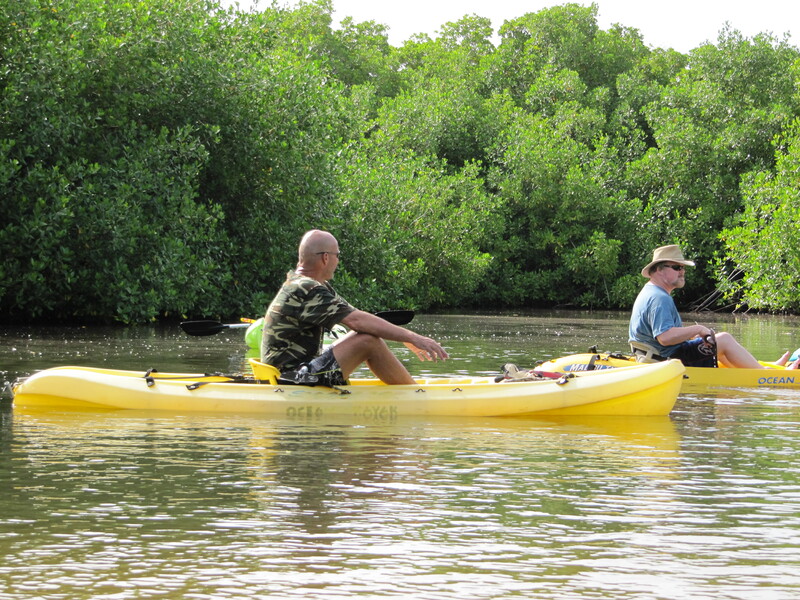 Pieter was eco minded providing good information on our precious resource, the mangroves. 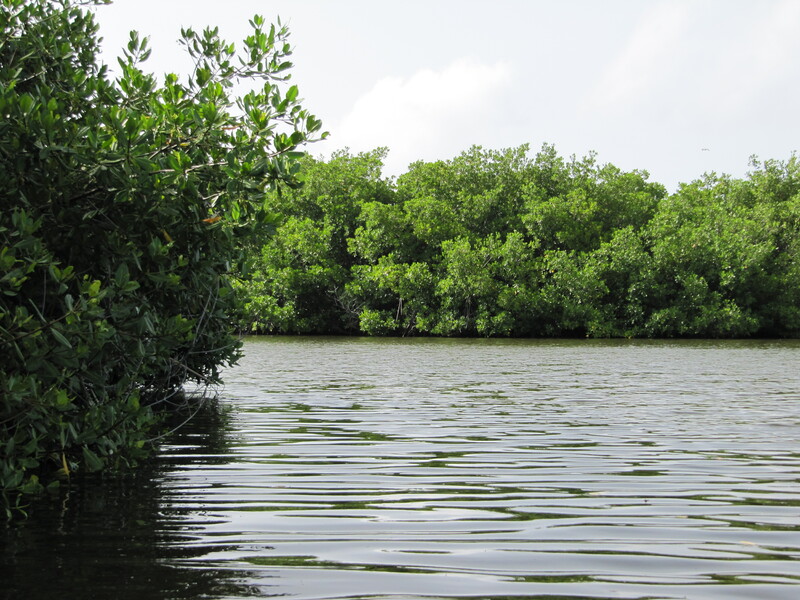 I was amazed to learn how old the mangroves are (200-500 years) in Bonaire. Of course they serve as the nursery of our island’s fish life. We saw upside down jelly fish, grey snapper and sponges and mollusks. It was a lovely way to start the day. This entry was posted on July 2, 2010 at 7:19 pm and is filed under Activities, Diving and Snorkeling. You can follow any responses to this entry through the RSS 2.0 feed. You can leave a response, or trackback from your own site.